BPM Media aims to be the leader in providing cost effective and quality media and communications services to organizations big and small. We offer competitive prices and expertise in the above core elements of the business,targeting two key markets - the budget conscious and those looking to gain a professional edge. Peter Marcato is a radio All-Rounder, based in Melbourne. Having started in the industry from the age of 15, Peter has achieved a wide body of work, across a number of different stations. Peter currently works as a freelance journalist and broadcast across a range of different outlets across the world. With a focus on sport and in particular tennis, Peter provides commentary for the Australian Summer of Tennis including the Hopman Cup, Sydney International and Australian Open on both TV around the world and radio. Peter also provides commentary for the Tennis Channel in the US for the French Open and Wimbledon for Live @ Wimbledon Radio. 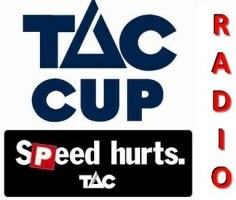 In the past he has worked at Triple M as a journalist, providing news and sport updates across Australia and was well known as the voice of M-Sport during the football season. 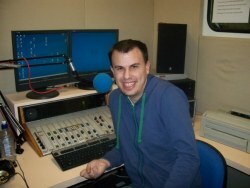 In addition to this Peter has worked as an on-air presenter at 1116 SEN, hosting various programs. He also has other TV commentary and hosting experience including covering the VFL and WNBL coverage on ABC. 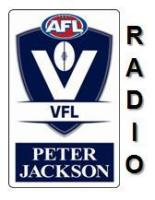 Outside of his extensive broadcasting career, Peter is also a lecturer at Swinburne University, specialising in Radio. Career highlights include covering the 2006 Commonwealth Games, commentating the Australian Open Mens and Womens Finals, working on radio at Wimbledon and providing world feed commentary for volleyball, beach volleyball and tennis at the 2010 Asian Games in Guangzhou, China.